Robots will not as feared steal people’s jobs and will eventually improve productivity, but they will undercut workers’ contribution sufficiently to depress their wages. According to the third report in Barclays Impact Series, titled Robots at the gate: Humans and technology at work, technology is fundamentally re-shaping the nature of work, and the implications of this re-shaping process will accelerate in coming decades. The report authored by Barclays’ Research team and supported by the Barclays Social Innovation Facility sets today’s technological advancements in the context of historical precedent and argues that robotics and Artificial Intelligence do not portend a jobless future. However, these new technologies have important macroeconomic consequences, such as wage disinflation, which will likely continue in the years or even decades to come. The report also argues that productivity spurts lag behind technological leaps, as it can take years or even decades for an economy to figure out how to best use a new technology. Eventually, economies of scale are reached, consumer behaviour adapts, companies refine their business models and productivity growth finally kicks in. “Technological acceleration has sparked both apprehension and intrigue in terms of its impact on the future of work. Much of the impact of technology in an economy depends not just on what is technically feasible, but also on how human attitudes evolve,” said Ajay Rajadhyaksha, Head of Macro Research at Barclays. Soft, not hard automation has the biggest impact on workers initially. In the years or even decades after a technology is first introduced, soft automation, where only parts of a job are automated, is more dominant than hard automation, where technology fully substitutes labour. New technologies do not necessarily reduce the number of available jobs. Automation often lowers costs to produce goods and services, which in turn increases demand for them, resulting in new job growth. It is also common for technological advancements to create entirely new related industries and professions. Technology can and does hold down wages. Wages have been suppressed since the turn of the millennium in every major economy, despite an increase in employment. 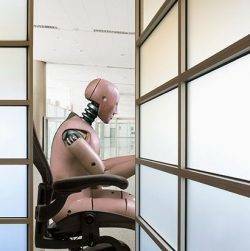 For the first several years or decades, even the most path-breaking technologies end up automating specific tasks within a job, not the job itself. In doing so, technology frequently ends up lowering the skill-set needed to do a job, in turn expanding the pool of potential workers, which then acts as a drag on wage growth. “The gradual introduction of robots, AI and machine learning across a number of industries is truly the next big revolution in in the job market”, said Andrew Hunter, Co-founder at Adzuna of the findings. For more information or to view the full report and related articles and infographic, please click here.